Signs of cryptocurrency regulation are beginning to show up in the European as well. High-ranking officials are beginning to suggest that there is a growing interest in that matter. This follows after the US also showed signs it wants to regulate cryptocurrencies. Also, not just cryptocurrencies are being eyed, but Initial Coin Offerings as well. Even though ICOs are a good opportunity for startups to raise funding via a blockchain-based platform, the fact that some ICO scams had been seen recently, makes government across the globe to think about implementing a regulatory framework. This is not the first statement when he refers to cryptocurrencies. Bitcoin had been addressed, especially, with remarks regarding risks in high volatility, security failures that lead to thefts and so on. However, it seems like Dombrovskis had a more positive tone when it comes to Initial Coin Offering. He stated that ICOs represent a way which helps innovative startups to gains access to funding. There was also a reference to a proposal by the European Commission to bring digital currency exchanges and wallet providers under the anti-money laundering directive. 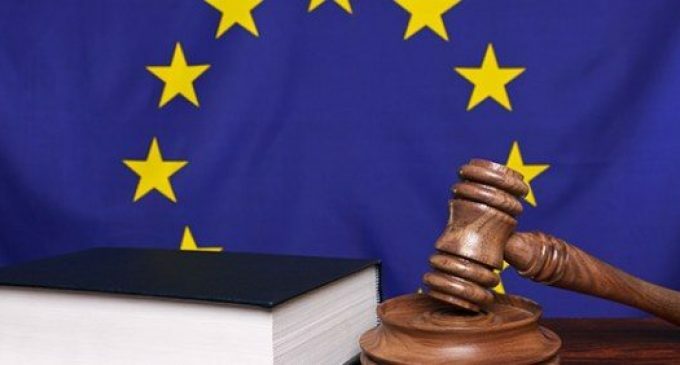 The European Commission, which is in charge of the executive tasks in the EU, had also proposed a stricter regulation for the use of cryptocurrencies. In particular, the Commission proposed the creation of a database with information about cryptocurrency users and their wallets. With that being the case, it looks like the EU will also take huge steps towards cryptocurrency regulation in the near term. Even though concerns surrounding regulation is at high levels, such actions should have been expected by the market participants, since it is something natural.